My seeds are sprouting! Its exciting. 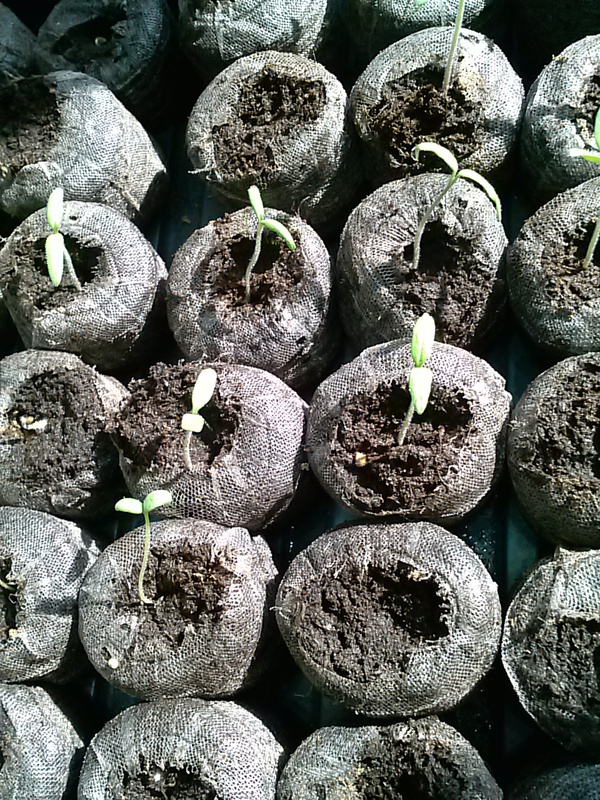 I have them in the seed trays and keep the domes on most of the day, taking them off for a couple hours, just to keep the moisture from being too much – I don’t want any mold to form. They are in a sunny window and also have a grow light. 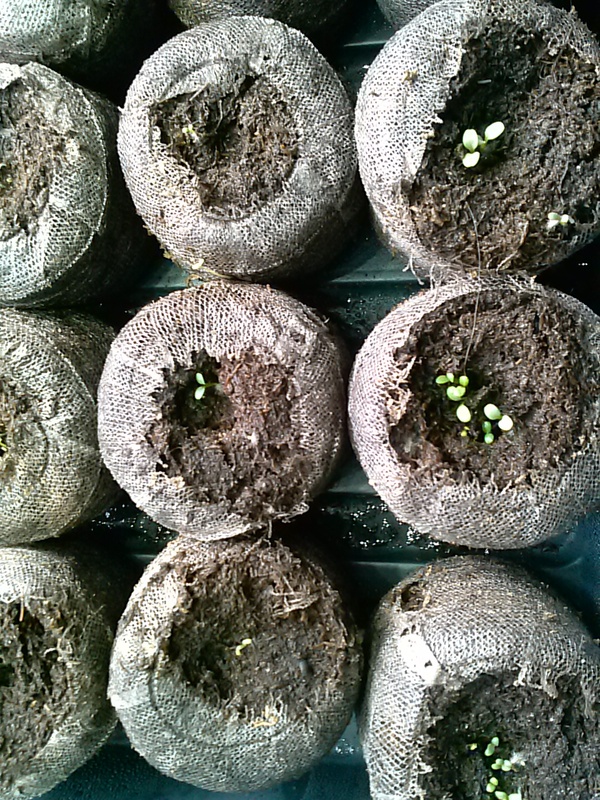 I just marked down the date I planted the seeds, and the first date I saw sprouts. 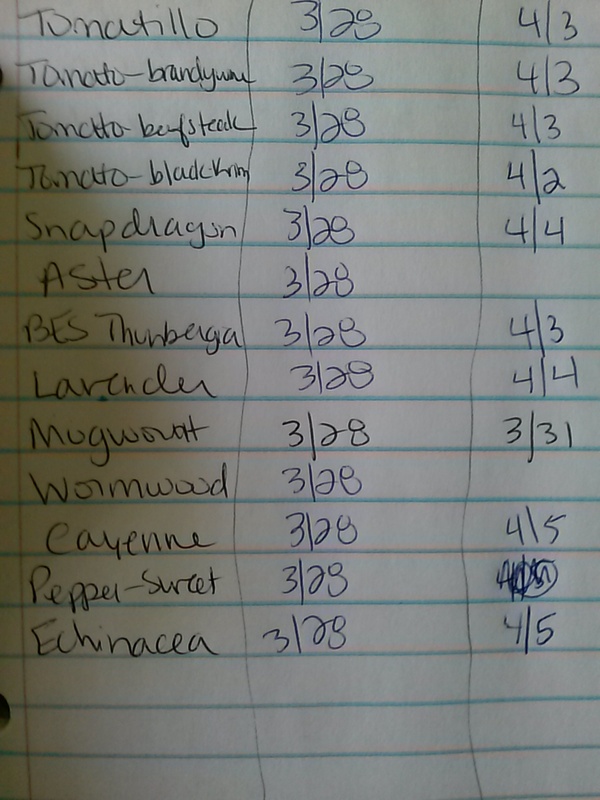 It will be helpful in later years in case I come across a batch of bad or old seeds or something. Most of our snow is now gone also, so I’ve been thinking about how best to start the new garden beds. I’m going to need some cardboard so I can do a lasagna-style garden. It’s a lot easier than digging up grass. Lasagna-style gardening is where you first layer paper (cardboard, newspaper, or paper bags) over the grass, and then layer compost, leaves, and soil to make a garden bed. The compost-type things break down under the growing plants, and the first layer of cardboard/paper keeps the grass and other weeds from growing up into the bed. You end up with a really nice rich soil. 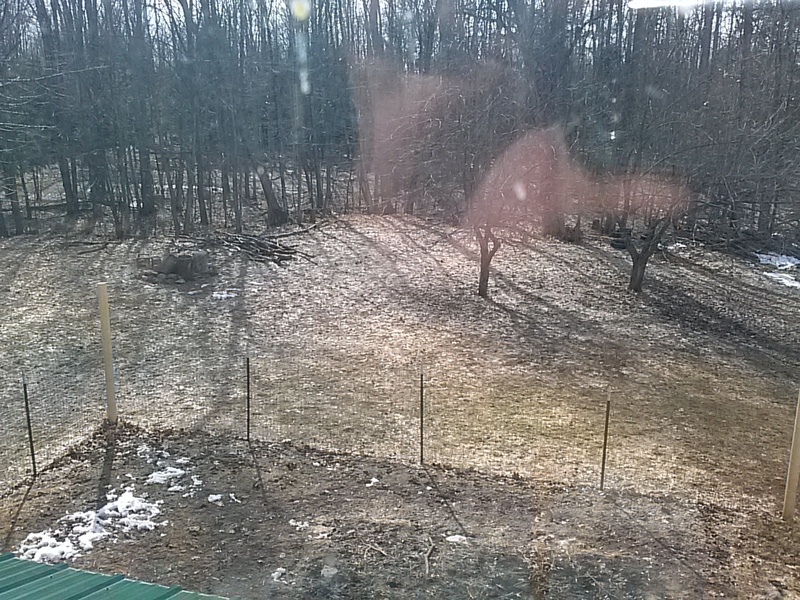 Here is part of my yard, almost completely snow free as of today! I took this picture out our upstairs window. In the foreground, the fenced bit is our dog run. There is a bit of snow still in the dog run area, and a tiny bit near the woods. My new main garden will be adjoined to the long edge of the dog fence in this picture.